Lynda Grace An Hour Away: UPDATE: The Cup, The Chart and The Money Jar - And The 2016 A-Z Blogging Challenge - Should I? 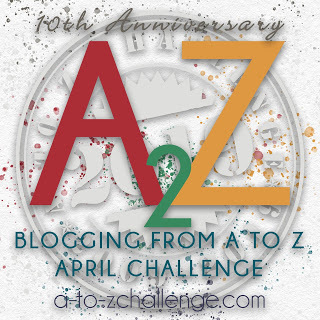 A/Z is fun (did sign up) but it can be hectic indeed; wise to decide if you want to participate this year. You mentioned what you gained (congratulations!) but while you were drinking all that water, did you lose any weight? You know, Gail, I did not lose any weight. But, I did the water thing for health reasons. I was hoping a side benefit would have been the loss of a pound or two, but it didn't happen. Nice. Glad you stuck with the water thing. I hope it sticks. One thing about blogging--you can always post ahead. Plan things out and set them to post at a later time. I find that helps me. 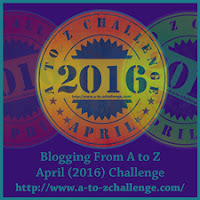 The other times I have done the A-Z challenge I have only planned a few days ahead. If I do it this year, I will definitely try to plan at least a week in advance.